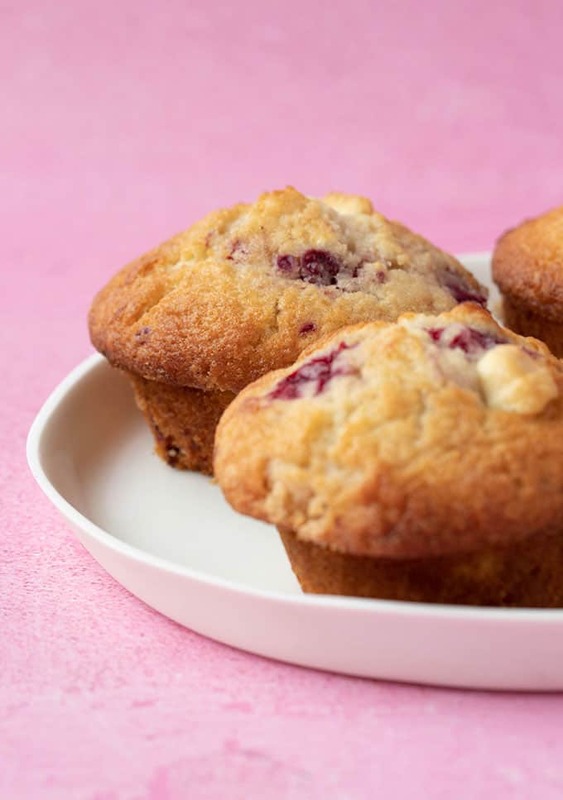 Soft and moist White Chocolate and Raspberry Muffins made from scratch. 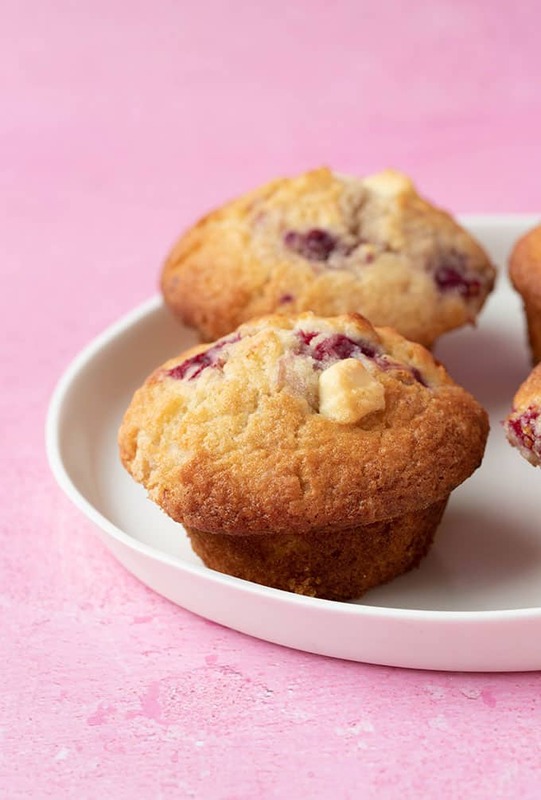 You’ll love these high top, bakery-style muffins filled with juicy raspberries and chunks of white chocolate. 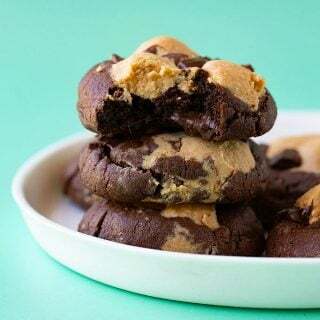 You’ll love these moist muffins with their enviable sky-high muffin tops and tender cake-like centre. Add a boatload of raspberries and plenty of sweet white chocolate, and you have one AMAZING treat. Finally, a bakery-style muffin you can make at home. I love a good muffin. Honestly, a fresh-out-of-the-oven muffin is one of the best things in life. 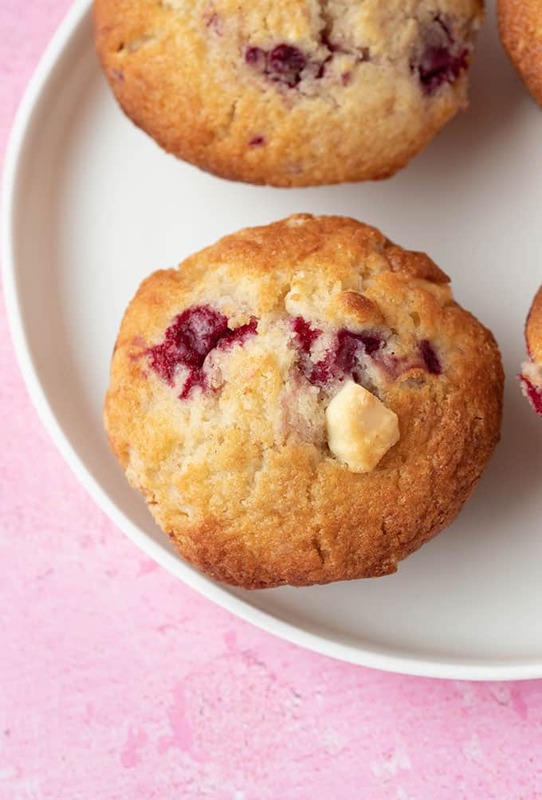 And these sky-high White Chocolate and Raspberry Muffins are what dreams are made of. They’re soft and sweet, with a super tender crumb, and that crispy muffin top is exactly what my perfect muffin looks like. 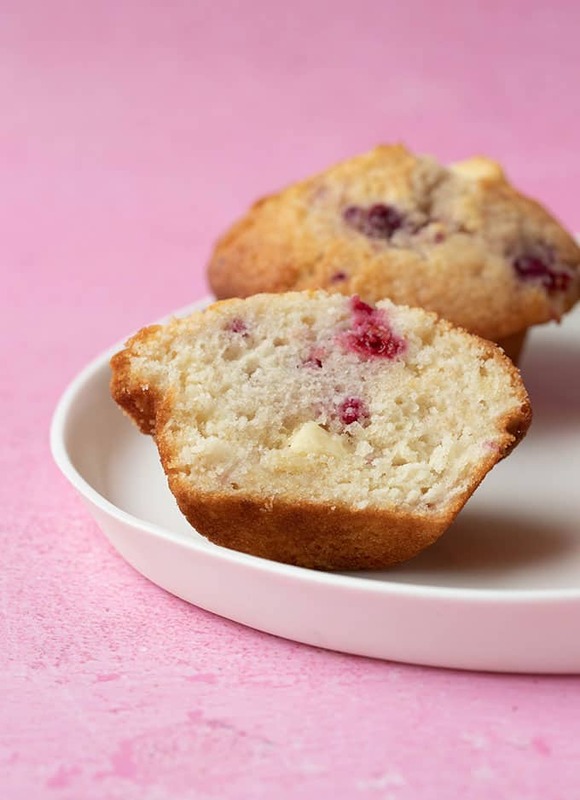 Tear open that golden brown muffin top and inside you’ll find a cake-like centre, filled with juicy raspberries and melty goodness from handcut pieces of white chocolate. 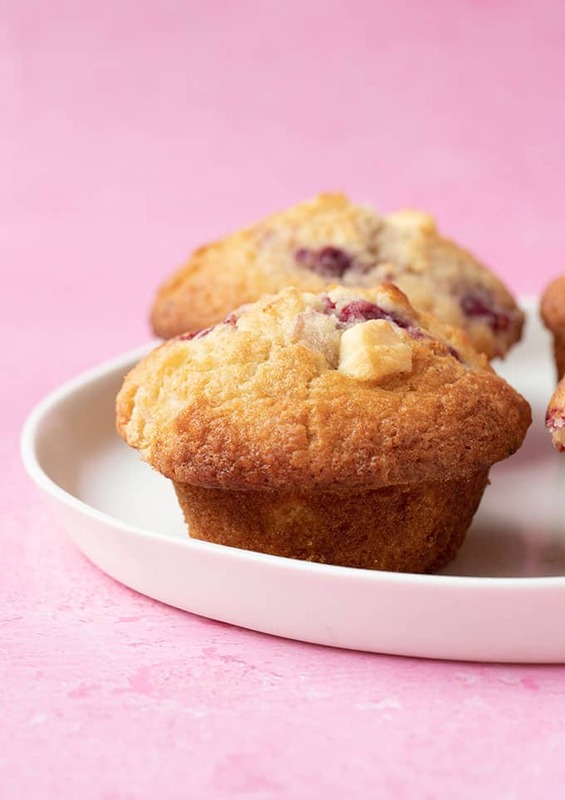 It took me a while to get this White Chocolate and Raspberry Muffin recipe just right. In fact, my freezer is now full of muffins. Luckily for me, frozen muffins taste almost as as good as fresh ones. These muffins only use regular ingredients and are really easy to make. I chose to use oil as the main fat instead of butter in this recipe. While butter adds flavour in muffins, oil adds moisture and I wanted to make sure these muffins had a soft and tender crumb. – nobody wants a dry muffin. 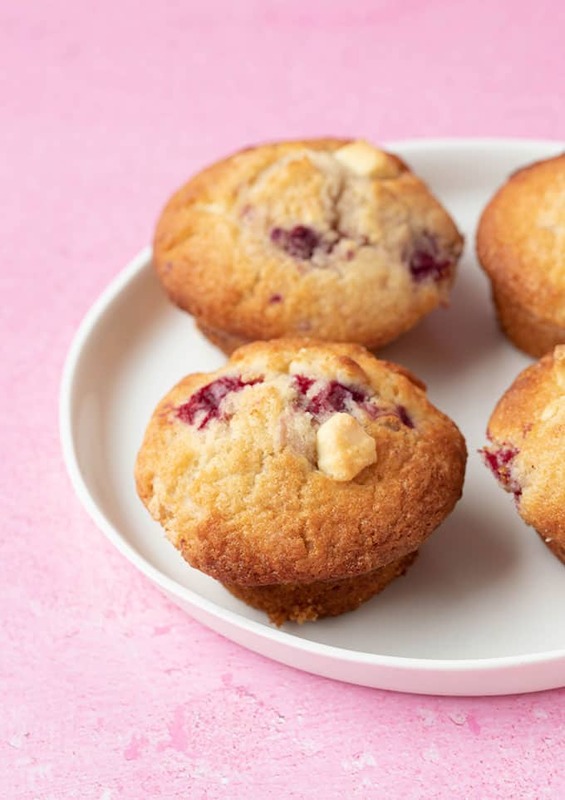 These White Chocolate and Raspberry Muffins have oodles of flavour thanks to a dash of vanilla, plenty of raspberries (you can use fresh or frozen) and white chocolate. 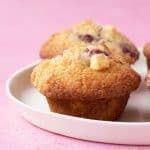 There is a trick to making high top muffins just like those at a bakery. First, you need to make sure you fill the holes of your muffin pan right to the top with batter. Then you want to bake the muffins in a very hot oven during the first 5 minutes of baking. This will ensure the muffins rise quickly and form those lovely domed tops. The oven temperature can then be reduced for the remainder of the cooking time. The trick for soft and moist muffins is using oil instead of butter. 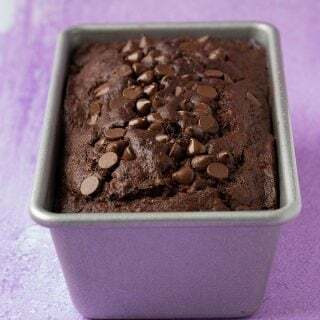 It gives the muffins a more cake-like texture, with a crisp top and a soft and tender centre. 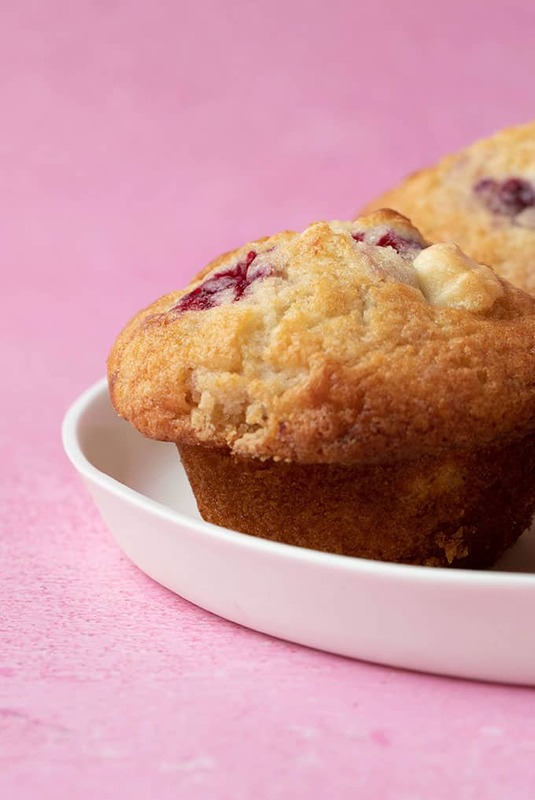 Using buttermilk also helps to make muffins soft and moist. Yes, absolutely. In fact, muffins are best eaten on the day they are made. I recommend at the end of the first day, wrapping your leftover muffins in plastic wrap and freezing them straight away. 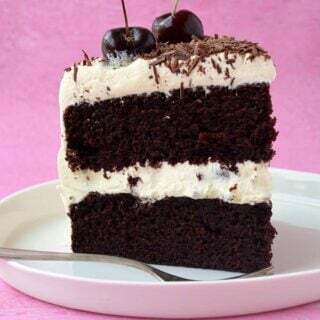 This will ensure they stay soft and moist. To eat, heat frozen muffins in the microwave for approximately 20-30 seconds or until warm in the middle.